A home purchase is one of the biggest—if not the biggest—purchase you will make in your life. It is important to not only feel confident with the real estate agent you choose, but also feel like that they are informed of your neighborhood marketplace and will go to battle for you during negotiations. Basically, they need to be the right person to represent you and your family in your unique situation. According to U.S. News and World Report, “The proliferation of online real estate information makes it easier than ever to be an informed consumer when buying or selling a home. Yet the digital revolution has done little to lessen the importance of choosing the right real estate agent to work with you.” And this couldn’t be more true as the right agent can help you successfully buy your dream house or sell your existing home; while the wrong agent can screw up the transaction and leave you in a messy situation and out thousands of dollars. People continually use family members as their agents, or choose professionals who have never worked in their neighborhood. And the reality of the situation is that while you may get a friends or family discount, or you may have an agent who is highly recommended; you need to consider all the variables for your situation and particular marketplace, or you may lose thousands of dollars from the beginning. So how can you find a good agent? Do your research, bottom line. 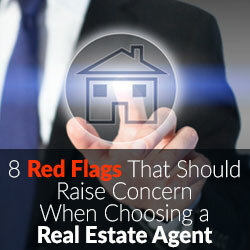 Here are seven red flags to watch for when choosing a real estate agent. The agent suggests the highest price for your house: If the agent promises to sell the house at an inflated price, or above market value, this can be a problem. Houses priced too high tend to sit on the market and then, inevitably, the agent will recommend dropping the price. Good agents know that one of the worst things in real estate is to overprice. Make sure you research what your house is worth on Zillow and observe comparable houses in your neighborhood. Even if the higher price can seem appealing, you put yourself in a vulnerable position. The agent is a relative: Buying and selling a house can be very emotional, and it’s often better to hire a professional—with no emotional ties—to list the house. Even if your relative is recognized as one of the best agents, giving discounts and having the family connection can often cause resentment for both parties. And it’s quite rare that a relative specializes in your particular neighborhood market. The agent isn’t familiar with your neighborhood marketplace: It is crucial that the agent is adept with the real estate landscape of your neighborhood. Knowing the price per square foot for your area is particularly important if you are buying a new home and prices of homes vary within a few blocks. Sometimes neighborhood towns can be substantially different prices and choosing an agent who specializes in your neighborhood may also have ties to potential buyers. Real estate should be seen as a very local, niche business. There are home selling and buying characteristics unique to every area. Choosing an agent who both works in your neighborhood and has worked with buyers with your same price range is important. The agent has no positive online reviews: These days real estate is online. Buyers are information-age savvy, and an expert real estate agent will know this and will have online profiles, followers and reviews. You can tell a lot about an agent from reading their Zillow recommendations, reviewing their company websites, or even following their blogs or social channels. Online reviews are king when it comes to choosing an effective real estate agent. The agent does real estate on the side: A real estate agent needs to have his or head in the game every day to truly be informed of the marketplace. A part time agent who works ‘on the side’ is probably not the agent who can immediately act on new listings or show your home to prospective buyers. For one of your biggest life purchases you want to hire an adept agent who lives and breathes real estate. The agent charges a lower commission than normal: Traditionally, commissions are 5–7%, split between buying and selling agents. If the commission is lower on your house, few agents will want to take the time to show it because that’s money out of their pockets. Of course if the same agent ends up being both the listing and selling agent, you might be able to negotiate a lower commission. 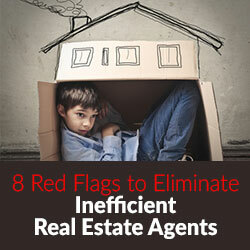 If the agent is affiliated with a newer real estate company, there may be a rebate. But it’s important to keep in mind that you want an expert agent more than someone who will offer you lower commissions. Even if an agent offers lower commissions, substantial money can be lost if the agent is a novice and the house price has to be dropped substantially. The agent isn’t an expert with your type of property: Obviously you want to choose an agent who specializes in your type of property. Whether it’s a single family home, condominium, duplex, vacation homes, investment property, or high value home, you want to find someone who is well versed at that particular specialty. Many agents have multiple specialties, but being well versed in a particular specialty is key to their knowledge of your property. The agent isn’t detail oriented or comfortable with negotiations: Once you’ve put an offer on a house, you don’t want the rest of the deal to fall apart. It is the real estate agent’s job to make sure the buyers are preapproved for a mortgage, the appraisal is accurate and an home inspection issues are addressed and resolved. Real estate agents need to feel comfortable negotiating, and need to be educated about every detail of the home purchase. You want to make sure you hire someone who is your advocate and is comfortable addressing issues. 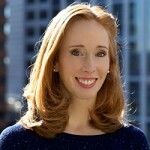 How Do You Choose the Right Real Estate Agent? Talk with the agent’s recent real estate clients. Get a list from your agent from their recent clients and ask them what these clients will think of their experiences. You’re hiring an agent for a specific job, so why not get some references? Look up the realtor’s licensing information. You can make sure they’re licensed in your state and find out if there have been any disciplinary actions or complaints. Look at the agent’s current listings. Do they fit within your distinct marketplace? Research how long the agent has been in the business. Having an expert compared to a novice speaks volumes in a home sale or purchase. Ask about other house for sale in the area and make sure the agent is well versed in your neighborhood marketplace. Dana Larsen is a writer for Pro.com, an on-demand home service with a mission to simplify the home renovation process, including the up-front research before a project begins. Find home services professionals with the right qualifications and work ethic without the hassle of back-and-forth phone calls, scheduling and getting the work done. Read more home improvement tips on their blog. I started part time and I can tell you I came across MANY incompetent “full time” agents. Not big on knocking down somebody who has to start part time. We all start somewhere.